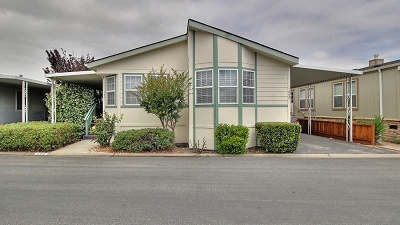 Casa De Amigos #185-SOLD JUNE 2016-Enter this beautiful 1,508 square foot floorplan. 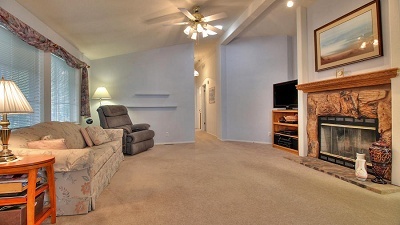 The living room features a large ceiling fan and wood burning fireplace. 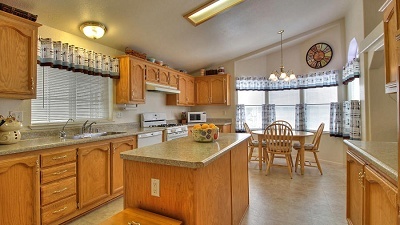 Step into the kitchen and separate dining room with plenty of natural lighting. Just steps away the kitchen features a large island plenty of wood cabinetry and a perfect breakfast area with plenty of natural lighting. 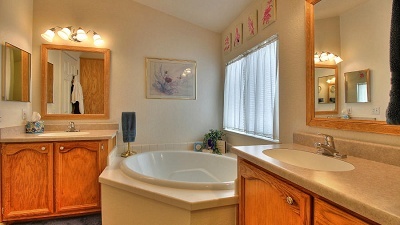 Down the hall, the master bathroom showcases split his and her vanities and a large soaking tub. This home also offers a side deck with a trex deck a few steps down great for entertaining! Call (866) 494-8993 today for more information on this stunning home! 1998 Silvercrest Serial#: 17306286A/B HCD# DL1164796 *List price excludes closing costs & escrow fees. *Information deemed reliable, but not guaranteed.